This article introduces a series in which Nicholas LaBanca will explore the different rites of the Catholic Church, and what makes each of the twenty-four Catholic churches within those rites unique. For the other parts in the series, click on the following links: Part 2 – The Armenian Rite, Part 3 – The Alexandrian Rite, Part 4 – The East Syrian Rite. Over the past several years, people have become more and more aware of how diverse the Western world has become. Talk of “diversity” often pops up in the workplace and elsewhere, especially here in these United States. Diversity applies not only to culture though, but religion too. Catholics could easily mention recent efforts in ecumenism when the subject of diversity comes up. But let’s focus on something else for a moment, something that’s been right under our noses. If you are reading this, chances are that you are a Roman Catholic. Or, to put it more officially, you are a Catholic of the Roman Rite within the Latin Catholic Church. Sounds a little confusing, doesn’t it? Why bother providing such a long description for persons we typically call “Roman Catholic”? That’s because not every Catholic is Latin. At times throughout history, and even still today, people have displayed confusion regarding those that we refer to as “Eastern Catholics”. When people are unfamiliar with something, they tend to look at that particular thing askance. But once we get the real story, and are able to appreciate the beautiful patrimony and treasure of the Eastern Catholic Churches, it’s obvious to see that one doesn’t have to be “Latin” to be Catholic. Let’s now take the opportunity to discover how the Catholic Church is truly one of the most diverse institutions on the face of the Earth. I’m thankful that I was brought up with “the best of both worlds”. My father’s side of the family is Latin Catholic, but my cousins on my maternal grandmother’s side of the family are Ukrainian-Greek Catholic. So what exactly are the differences in these traditions? What makes one Catholic “Latin”, and another Catholic “Ukrainian”, “Chaldean”, or something else? Before we answer that, let’s get a bit technical for a moment so as to get our terms right. First, we have the Catholic Church. No prefixes. No other labels. We just have the Catholic Church. Or, if one really wants to, we can refer to the Universal (Catholic) Church. Second, the Catholic Church is comprised of six different liturgical rites, and within those rites, there are twenty-four particular Churches. These twenty-four sui iuris (autonomous or self-governing) Churches are all in communion with one another, are all within the Catholic Church and all recognize the primacy of the pope. The Latin (or Roman, but we’ll continue to refer to it as “Latin” from now on) Catholic Church is the largest of these twenty-four Churches, and is the only Western Church. The other twenty-three Catholic Churches are all referred to as Eastern Churches and have their own traditions and forms of liturgy, yet retain the same basic liturgical structures and theology as seen in the West. Usually in places like the media, the entire Catholic Church is commonly referred to as the Roman Catholic Church. This term doesn’t show the full universality of the Church, and many popes over the last few hundred years have sought to safeguard the importance of the Eastern Churches. It’s interesting to think about how much time we seem to spend in ecumenism between other non-Catholic Christians, yet we overlook that we have Eastern Catholic brethren with a rich patrimony we should be aware of. Eastern Catholics may go about their theology in a way that is different from what we see in the Latin Church, but it is equally valid and never strays from the essentials of doctrine. Furthermore, this means that any Catholic of a sui iuris Church may receive the sacraments and attend the Holy Sacrifice of the Mass (or Divine Liturgy, Holy Qurbono, etc. as it is called in the East) at any sui iuris Church. Each of the twenty-four Churches are fully Catholic; one can fulfill their obligation for Mass at any one of these Churches whenever they desire. “The Holy Catholic Church, which is the Mystical Body of Christ, is made up of the faithful who are organically united in the Holy Spirit by the same faith, the same sacraments and the same government and who, combining together into various groups which are held together by a hierarchy, form separate Churches or Rites. Between these there exists an admirable bond of union, such that the variety within the Church in no way harms its unity; rather it manifests it, for it is the mind of the Catholic Church that each individual Church or Rite should retain its traditions whole and entire and likewise that it should adapt its way of life to the different needs of time and place. “Canon 27 – A group of Christian faithful united by a hierarchy according to the norm of law which the supreme authority of the Church expressly or tacitly recognizes as sui iuris is called in this Code a Church sui iuris. Below is a list of the six rites of the Catholic Church, followed by which sui iuris Churches are contained within them. 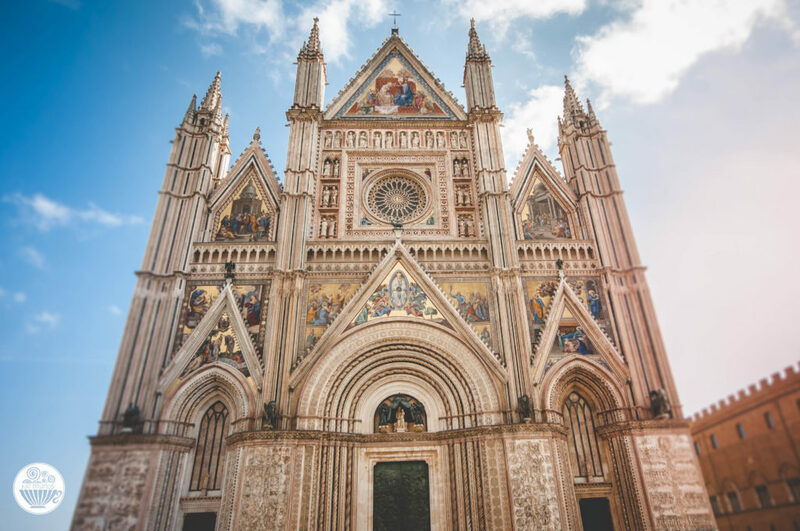 We can see that each of these Churches come from distinct cultural backgrounds, and from all corners of the earth, yet each of these twenty-four Churches all profess the same Catholic Faith. How wonderful that our holy Catholic Church has such a multitude of traditions (small “t”) while keeping the same unbroken Tradition (big “T”) from apostolic times! After this primer, we will be following up with a series of essays detailing each of the five Eastern liturgical rites and their respective Churches. However, this being an introduction, we would be remiss if we did not briefly mention how the Eastern Catholic Churches relate to the Orthodox Churches. When the Great Schism occurred in 1054, the Church was splintered, but over time parts of these Churches came back into communion with the Catholic Church. Future essays will detail when these reunions happened. While we still await that happy day of full reunion, we can rejoice that relations between East and West today is not as fractured as it was in the eleventh century. Just what are some of these traditions? Briefly, as we’ll go into more detail later, these traditions include a married priesthood, or the use of leavened bread at the celebration of the Eucharist. Some of these Churches that use leavened bread (mostly in the Byzantine Rite) and even some that use unleavened bread as Latin Catholics do (i.e., the Syro-Malabar Catholic Church), distribute Holy Communion through intinction. Through intinction, the consecrated Host is placed in the chalice and is given together with the Precious Blood directly into the communicant’s mouth, often with a small, liturgical spoon. Other traditions include sacramentals such as prayer ropes or chotki, and different devotional prayers like the Jesus Prayer. These are all things that might seem a bit foreign to many Latin Catholics. However, as seen by the words of various popes, these liturgical traditions are all as equally valid, and to the faithful’s benefit, as are traditional Latin devotions. Pope St. John Paul II said it best, that “the Church must breathe with her two lungs” (Ut Unum Sint 54). The East and West are part of the same Body. Therefore, the entire Church should appreciate and respect the valid gifts and traditions that are breathed from both traditions. “Since, in fact, we believe that the venerable and ancient tradition of the Eastern Churches is an integral part of the heritage of Christ’s Church, the first need for Catholics is to be familiar with that tradition, so as to be nourished by it and to encourage the process of unity in the best way possible for each. “It has been stressed several times that the full union of the Catholic Eastern Churches with the Church of Rome which has already been achieved must not imply a diminished awareness of their own authenticity and originality. Wherever this occurred, the Second Vatican Council has urged them to rediscover their full identity, because they have ‘the right and the duty to govern themselves according to their own special disciplines. Throughout this series, we will explore much more in-depth what “spiritual treasures” these Eastern Catholic Churches gift to the universal Catholic Church. The Church is One, but the diversity that we find within it is truly something to be celebrated and cherished by all Catholics. Correction: The original image for this post contained Anglican and Orthodox Christians, and not Catholics. The Ascension Blog regrets the error. The original version of this article was first published on Catholic365.com. I’m Melkite. Changed over from the Latin Church several years ago. Nicely done! The photo on this article, while a very interesting and historically important one, is of Bishop Charles Chapman Grafton, the Episcopal Bishop of Fond du Lac (WI) along with the other Episcopal bishops and Eastern Orthodox guests at the consecration of a new Episcopal bishop. Looking for a audio of the pronunciation of “Holy Qurbono” Unfortunately i could not find it. Why are you a picture where there are no Catholics? Nick is correct. As all the Eastern Catholic churches are in communion with Rome, you can attend any of them and both receive the Eucharist and fulfill your obligation. I’m Latin rite but attend our local Byzantine (Ruthenian) Catholic church almost every week. This is incorrect. Do you have a citation spelling out what you say the “Latin rite requires”? I believe you may be mixing up the Eastern Catholic Churches with the Eastern and Oriental Orthodox Churches. The 23 Eastern Catholic Churches are fully Catholic and recognize the Pope in Rome as the Vicar of Christ, just as you and I do as Latin Catholics. When it comes to the Orthodox Churches, we as Catholics (of any rite) are not encouraged to receive Holy Communion at the Orthodox Churches because we are not in full union with them. There are specific cases where it would be permissible since the Orthodox Churches have valid sacraments. In any case, you are certainly free to partake of the sacraments at any time in the Eastern Catholic Churches. I’ve gone to Confession to Byzantine Catholic priests, and I often fulfill my Sunday obligation at a Byzantine or Ukrainian Catholic parish, receiving Communion there. If you click on the link above that talks about the Jesus Prayer, you’ll see Matt Fradd talk about how he attends a Byzantine Catholic parish regularly, while still being a Latin Catholic. I hope this clears up the confusion. I am Syro – Malabar Catholic living in Edmonton area, but I will go for Latin church every day except on Sunday and receive all Holy Sacraments from Latin Church just because I have a Latin Church near by my place and will participate in Syro-Malabar church every Sundays and the very beautiful thing in Syro-Malabar church is that there is Catechism classes for kids to develop their faith too. Would you consider Anglican Rite (use) to also be an additional one? Good question, Paul. The Anglican Use is included under the umbrella of the Latin Catholic Church. What is interesting here is that while there are several particular Churches in, say, the Byzantine Rite, the opposite is true when it comes to Latin Catholics. There are several different “rites” within the Latin Catholic Church, such as the Anglican Use, the Mozarabic Rite, and the Ambrosian Rite. But this series will focus solely on the Eastern Catholic Churches. Needless to say… our Catholic faith is awesome with plenty to explore! So an Ordinariate parish would not be considered a “church” similiar to the churches under the various other rites? The particular Churches in for example the “Byzantine Rite” are distinct by history and ethnicity. This would be similar to the Roman Rite in different countries. Can a bishop from the other 23 churches be part of the conclave and ultimately be named Pope? Yes, the pope can come from any of the Catholic churches. As I understand in the very Early Church, approximately 30 popes came from the East. So when are they going to unite the dates of Easter? How can other non Christians take Christians serious if we can not agree on a date that IS the most important date that we should celebrate together. This division is a sin that needs to end! Hey, I am a Syro – Malankara Catholic but I do go to Syro – Malabar Churches and attend their mass, normally most their churches do not currently have the holy veil except some of them in the southern part of Kerala (Kottayam).